Who isn't excited about the new Star Wars™ movie that will be hitting theaters in December?! I've been a fan of these movies since I was six and am so excited to share the experience of enjoying a brand new film together with my six year old twins. To get them up to speed on all the characters and canon from past films, we devoted a weekend for a movie marathon viewing the original trilogy. Of course if you're going to be having a movie marathon you need something fun to snack on so we made an out-of-this-world treat to enjoy. Cereal doesn't need to just be for breakfast! We combined General Mills Star Wars™ Darth Vader Cereal with Yoplait Star Wars™ Strawberry Smoothie Go-Gurt® to create futuristic looking popsicle treats. Throw in some blue milk to drink along with it and you have a great snack that looks like it could have been served in a scene from a sci-fi movie. 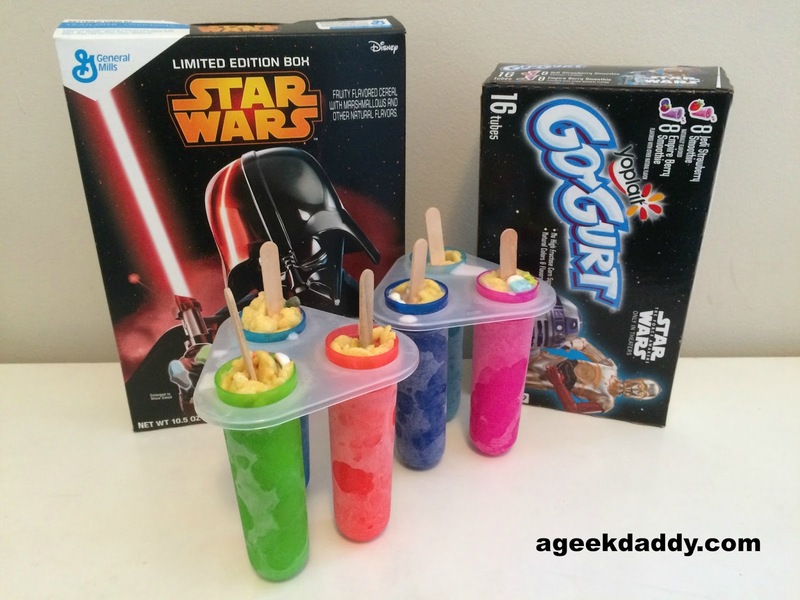 We made a quick visit over to our local Walmart to pickup all the supplies we needed including Star Wars™ Darth Vader Cereal, Star Wars™ Go-Gurt®, popsicle molds, and wooden sticks so as my daughter would say making these treats ourselves was "easy peasy." 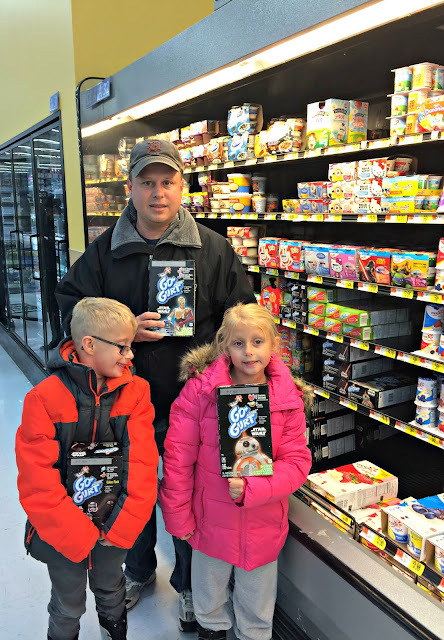 Not only did my kids really find these snacks to be a tasty treat but they had a blast helping out in the kitchen making them which was an activity that really enhanced our movie marathon experience. 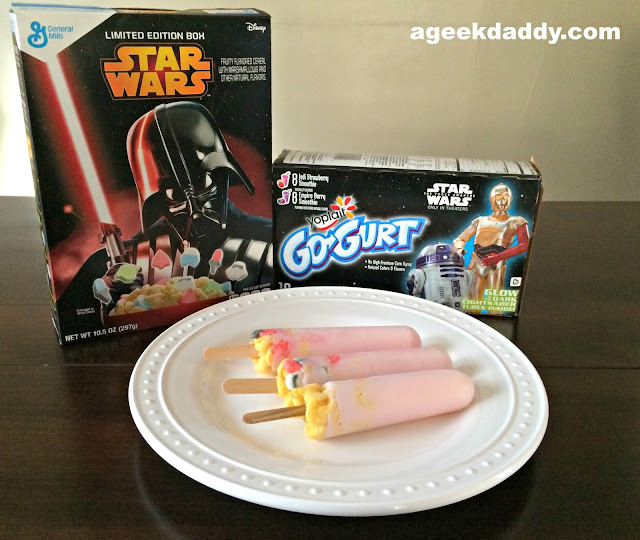 The Cereal Freezes are a great mixture of the smooth strawberry taste of Yoplait Go-Gurt® blended with fruity flavored cereal and marshmallows from General Mills Star Wars™ Darth Vader Cereal to provide a crunchy texture. 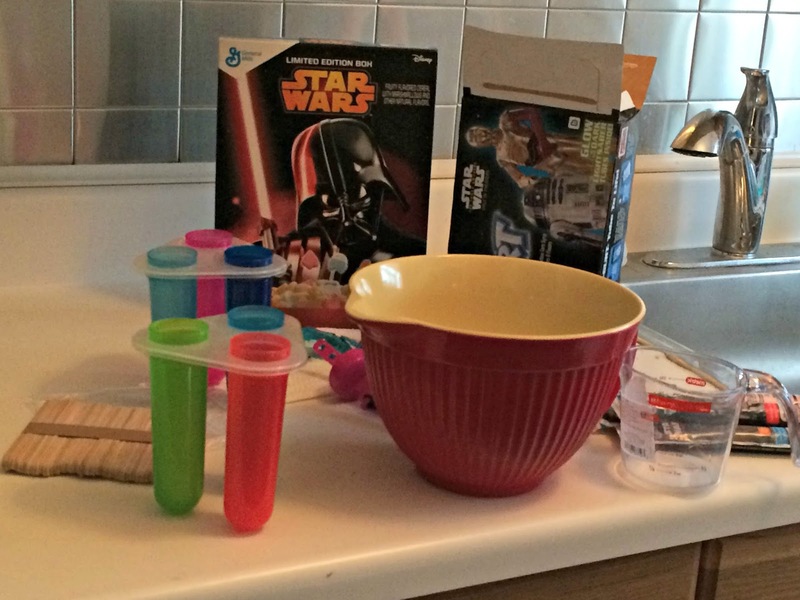 1/2 Cup of General Mills Star Wars™ Darth Vader Cereal. 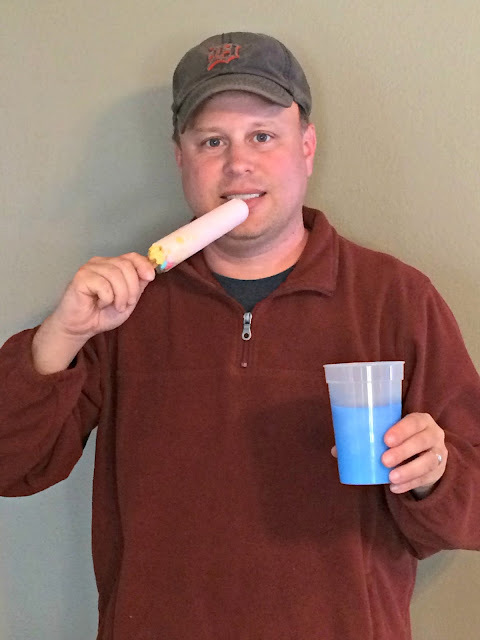 Once frozen, place the popsicle molds under the kitchen faucet and spray with warm water. Gently pull the Cereal Freezes from their popsicle molds. 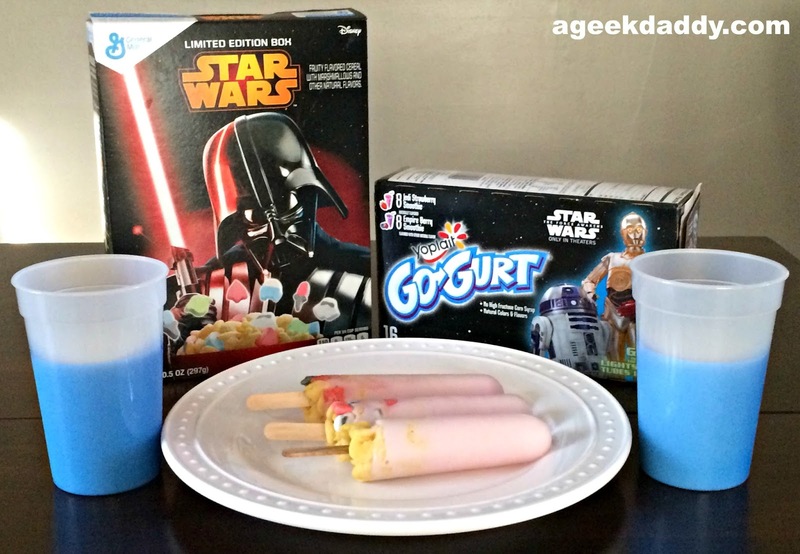 Feel like a hero from Star Wars™ by enjoying some Blue Milk along with your Cereal Freeze. Add sugar to sweeten the taste. Voila! There you have it some delicious and simple to make snacks that can provide some out-of-this-world flair for a party, family game night, or a movie watching marathon. 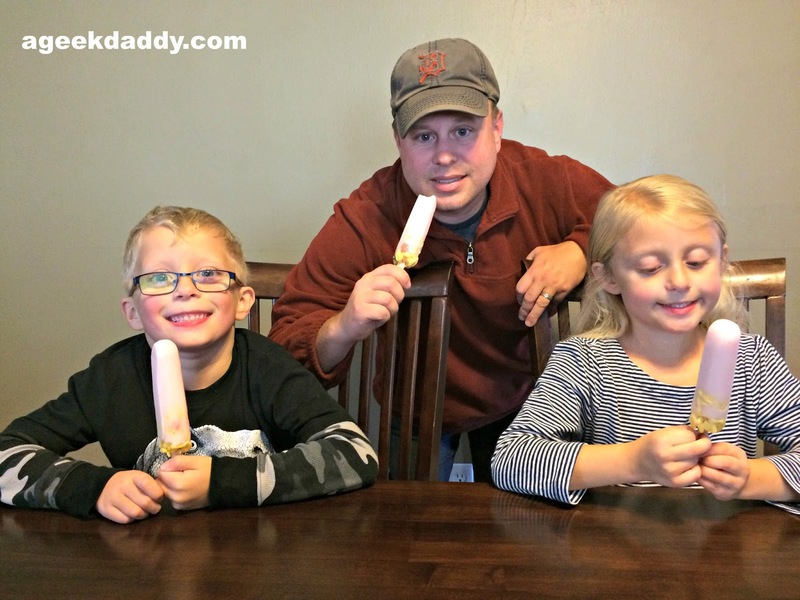 My kids really love this snack and I'm sure yours will too! 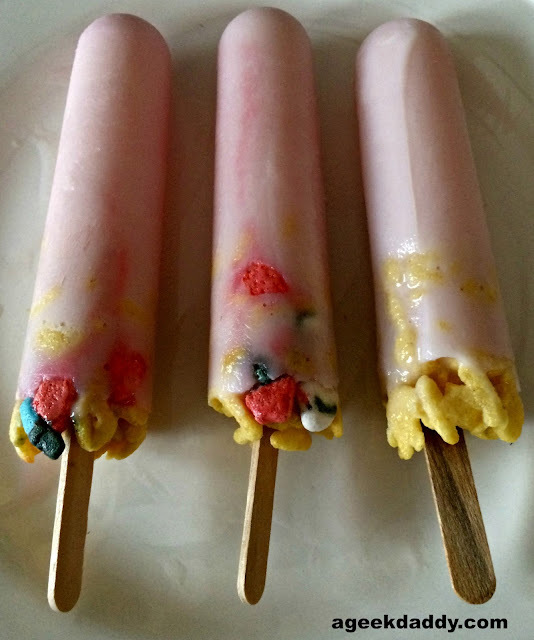 Do you have any favorite snacks you like to make for Family Movie Nights? Find more #AwakenYourTastebuds inspiration here. Ha! It's cute - love that they look like light sabers. My boys wouldn't have been able to wait for pictures to start eating those popsicles up. Those looks like fingers! What a fun idea! My husband and daughter are counting the days to the midnight show. This looks an awesomely cool idea. Would love to try this at home too!